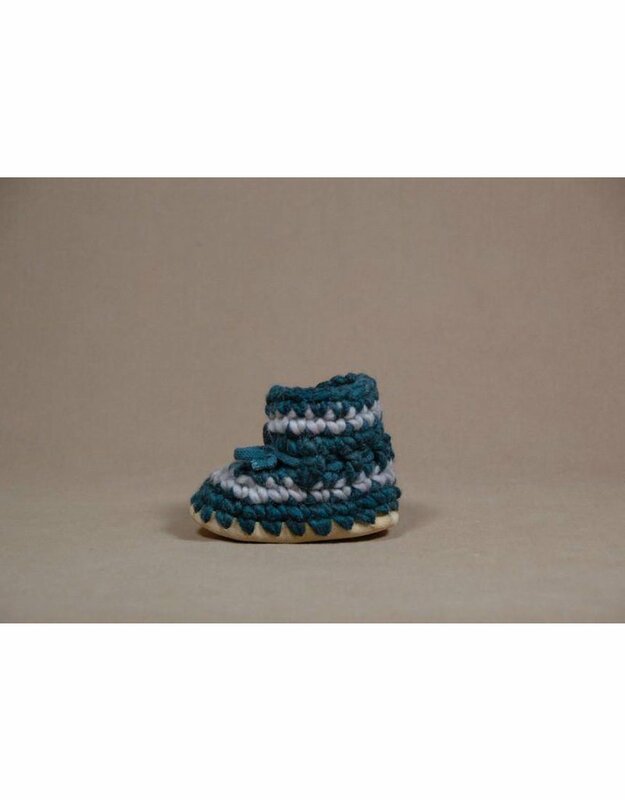 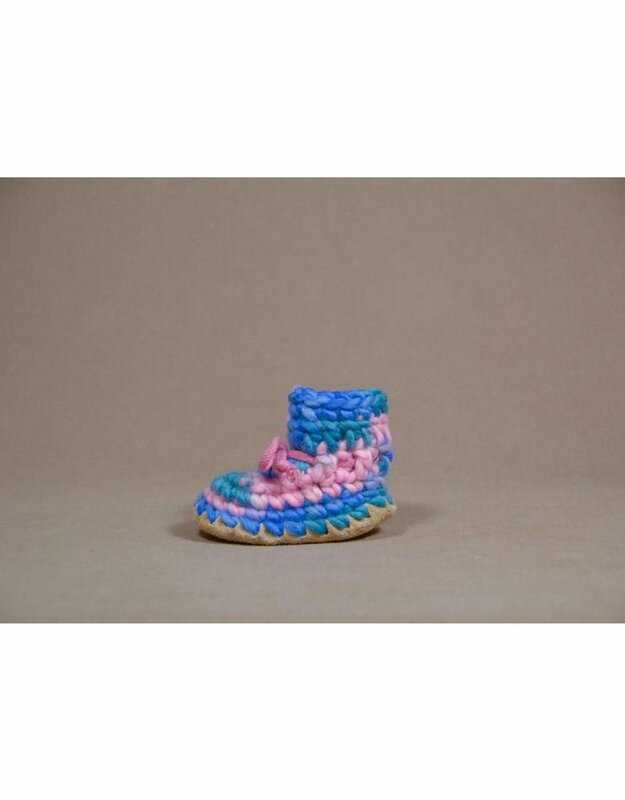 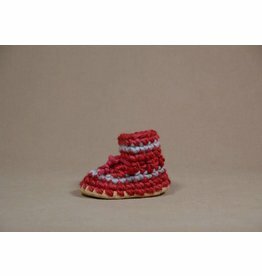 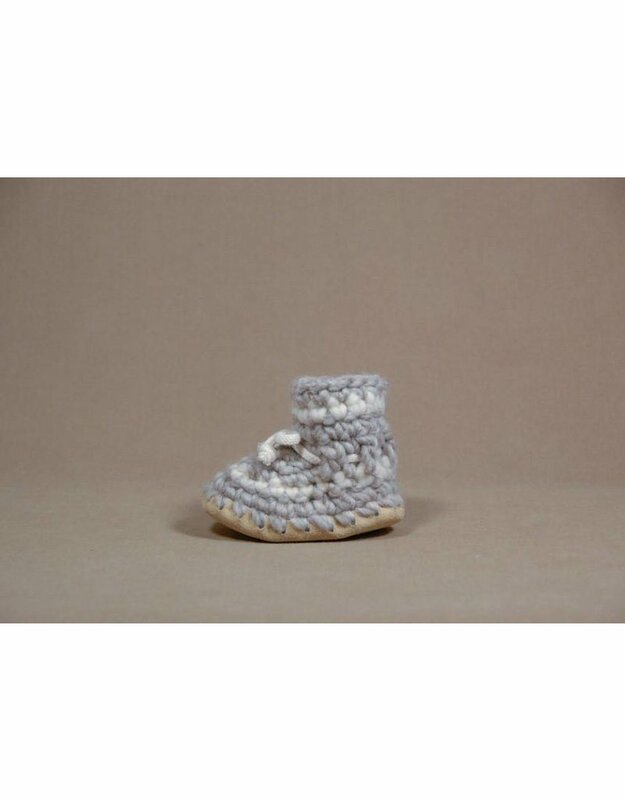 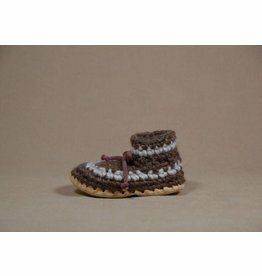 Their Baby Slipper are made with pure wool. 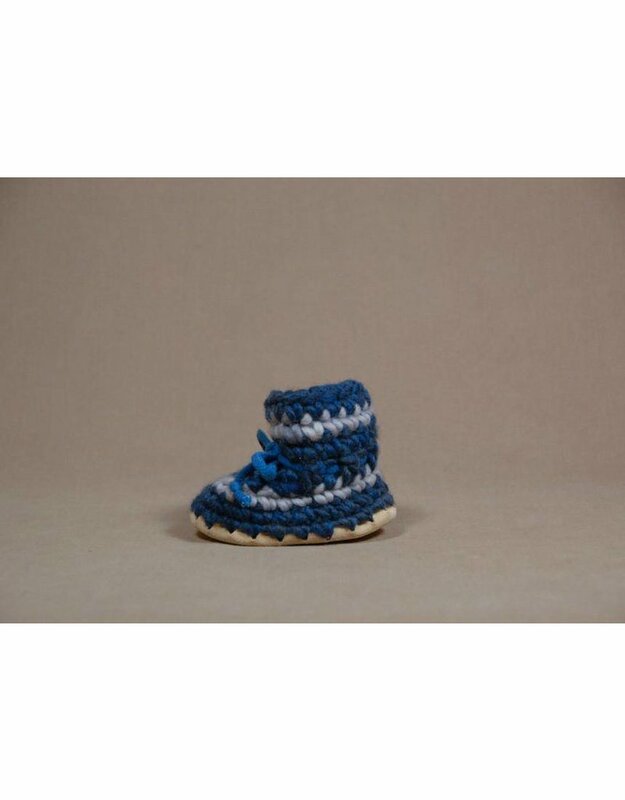 Dyed and crocheted by hand with a extra soft sheepskin lining and tough leather soles for long lasting comfort. 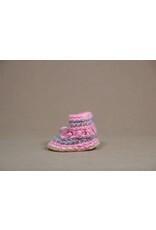 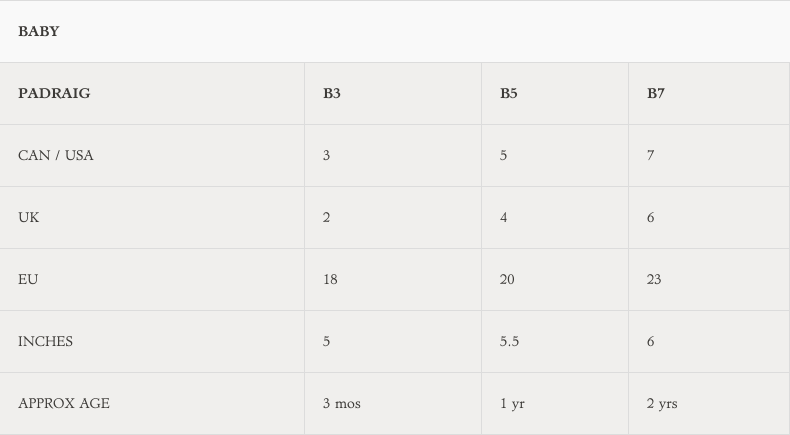 The Baby Slipper has the elasticity to stay put without being overly constrictive on young growing feet.